Curious about what other Jacksonville, FL's are saying about Dori? Dori Mackoul Dekle is 5 out of 5 based on 10 ratings. 10 user reviews. "Me and my wife and our 2 year old built a home in St. Augustine FL. We had the privilege to have Dori Dekle as an Agent. Dori helped us with all the tough decisions of building a home. Dori was very patient with our needs and never pressured us into any decision until we were 100% ready. 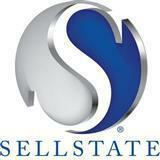 I would recommend Dori Mackoul Dekle to anyone interested in buying, selling, or rentals." "Dori was a dream to work with. She was helpful, knowledgeable, and such a joy to work with. We always felt that Dori had our best interest at hand. She was always on top of things and returned communication with us in a timely manner. We will definitely be recommending Dori and her wonderful team to others"
"I was very satisfied with the service I received from Dori, she handled my listing/sale efficiently and I would definitely refer her to a friend or relative!" "We were very satisfied with the service you received from Dori and she answered any questions we had. We felt like she was really “for us” and not just trying to sell a house. Dori was great, we have already recommended her to to people and will be using her again, but hopefully not for a while." "Dori was attentive, polite, responsible to get our wishes met as fast as possible. She always went the extra mile!" "Dori is amazing and walked me through the process step-by-step and not only is a great Realtor but a great friend!" "We very much enjoyed working with Dori." "Dori is amazing, we felt like she supported us and fought for us 100 percent." "Dori Dekle has been my Real Estate agent since 2003. 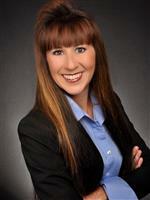 From my initial interview, she was professional, organized, and extremely knowledgeable. What I really appreciate about Dori is relationship building comes first. She was attentive, asked great questions, was prepared and organized for our first meeting. ALL my favorite traits in a person I needed to trust when making an investment of selling and buying a home. She means what she says and follows through with her commitments. Over the past twelve years Dori has handled three real estate transactions for me and I have been completely satisfied from application to closing in each of the deals. I always highly recommend Dori as a Real Estate Professional, she's passionate about her career, has a strong faith, and truly is a respectable hard working individual." "Dori was very helpful, knowledgeable and professional, she helped us through the process."